Dianne welcomes a new career opportunity as a Home Mortgage Partnership Manager. When you meet Dianne, her warm personality and years of experience immediately come through. She has dedicated over 30 years to serving home mortgage customers, almost 17 of which have been with Citizens. She doesn’t hesitate to note that she left Citizens for a short period in 2016 to pursue an opportunity at another financial institution. “87 days is how long it took me to realize Citizens feels like home. I actually knew a few days into my new job that my career belongs at Citizens but it takes time to transition back,” laughs Dianne. Her brief departure reinforced to Dianne that Citizens’ exceptional colleagues, collaborative culture and engaged leadership can help our home mortgage colleagues reach their full potential. Dianne always saw an opportunity to strengthen relationships between loan officers and the retail branch team and was excited when her leaders proposed a new role as a Home Mortgage (HM) Partnership Manager. “During my time as a loan officer, I realized that branch colleagues — tellers, personal bankers, branch managers — had an opportunity to become more knowledgeable about the home mortgage needs of our customers,” explains Diane. “As a HM Partnership Manager, I am responsible for developing strategies to increase collaboration with loan officers and their partners within the branch, ultimately driving referral opportunities and helping customers reach their home ownership goals.” Dianne credits her exciting move to Citizen’s numerous growth opportunities and commitment to continuous improvement. 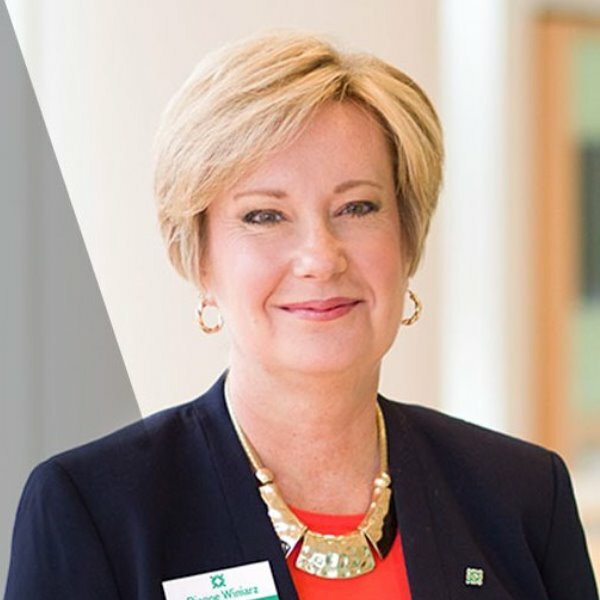 In her new role, Dianne and her manager have implemented several tactics and programs to help bridge the gap between branch colleagues and loan officers. One initiative they introduced was a mortgage-focused branch meeting that honed in on the basics needed to build a solid knowledge foundation for branch partners. On the other side of the partnership, Dianne and her team have encouraged loan officers to establish more accountability with their assigned branch and to make more consistent visits to branches. Finally, they developed a training deck for new loan officer hires to provide them a comprehensive overview of the branch partnership. Learn more about opportunities to develop a long and rewarding career as part of our mortgage team.